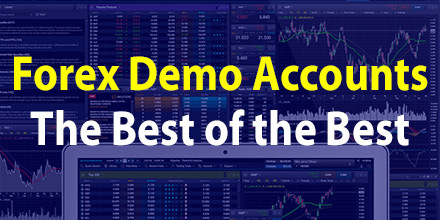 Remember the time when you opened your first Forex demo account? Your forex trading systems peeled off winning trade after winning trade. The emotional roller coaster so many active traders succumb to is non-existent, right? Today I’m going to run through the good points and challenges with using a Forex demo account when you are starting out. But first, let me provide some helpful links, so you have a wide choice of demo trading platforms to choose from. You can also compare platforms to see which is best for you. The IG Demo account, you will get access to $20,000 in play money & access to a wide range of trading tools. Their webTrader demo account allows you to place your trades on any device at any time. You can then quickly test your trading ideas and trading strategies in real-time in a practice environment. The CMC demo account is brilliant. You will see in our CMC Markets Review they have spent more than $100 million to provide the active trader with the tools they need. Their platform features include powerful trading tools include charting and advanced pattern recognition software. Registering for a CMC demo is fast, and you can have your $10,000 demo account up and running in seconds. You will find the CMC Markets demo account incredibly intuitive, and the mobile apps are some of the best in the business. The Pepperstone Demo Account gives you access to a full 30 days of trading and $50,000 in funds to practice trading. Pepperstone provides access to everything. They have the major trading platforms including MT4, MT5, cTrader, cAlgo and all the mobile apps of each. They have some trader tools as well including Autochartist and live market analysis. You can also try your hand at developing your automated trading system by coding your Expert Advisor (EA). The AxiTrader demo account is a $50,000 MT4 demo account available for 30 days. AxiTrader is a little different to most in that they suggest their MT4 demo account replicates the real market conditions. This is ideal for those who want to test their EAs and perhaps even hook up their VPS hosting. The AxiTrader demo will give you a good idea of the real-time spreads and execution speeds. When you open an Oanda trading demo account, you have access to either their proprietary ‘FXTrade’ platform or their MT4 demo account. Oanda is one of the most technologically advanced companies for any forex trader. You will love their tech gadgets and have probably viewed a number of their trading widgets already. Unlike many other Forex demo accounts, they allow you to reset your balance back to $100,000 at any time. You can also change your leverage, so it more closely mirrors your real life trading account. If you have traded on margin and wished to reduce that level, then you can with the Oanda demo account. For those active day traders, the IRESS platform is the golden standard. IRESS allows you to see the actual market depth of the Australian Stock Exchange, live and updating in real-time. But it isn’t limited to the Aussie Market. The IRESS platform and many IRESS brokers provide market data to many of the world’s exchanges. Plus Forex, Indices and Commodities. As someone who used to actively short-term trade the Aussie speculative stocks, IRESS was invaluable. As I used to trade breakouts, I could judge the best time to get in before the breakout happened. You can read more about my style here. If you want to get a Free IRESS deme account, then click the reviews of FP Markets here. There are six things you must master when you first grab a Forex demo account. One of the mentors to the greatest minds of our time is Jim Rohn. Jim Rohn is like the grandfather of the personal development industry and is one of the most respected philosophers of our time. It’s sort of like combining the 80/20 rule with an action plan to break down what you need to master. So too with learning a new trading platform. There are about six things you need to learn to master with a Forex demo trading account. CFDs and Forex and pretty much used in the same sentence nowadays. There are no trading costs associated with a practice account. The only limitations are time. Most demo accounts are available for 30 days. But if you open a live account, many will allow you to have an active demo account to test any new trading strategies you might have. You already know the fact that forex and CFD trading is risky. With a live FX account, your losses can exceed your initial outlay. So what do I mean when I say the risk warning with a demo account? The real risk of demo trading is your emotions. Or rather, the lack of emotions riding on each trade. In the calm of a demo account, placing trades and winning and losing is easy. There are few, if any, emotions involved. Sure it might get frustrating when you make a loss, but it is only paper money. Unless your LinkedIn profile has background info such as ‘Zen Master’ or ‘Buddhist Monk’, chances are you are going to get emotional when trading the live forex markets. So make sure you do not make demo trading something that lasts for a year or two. Now you may laugh when I say ‘a year or two’. But I can tell you when I was a full-time trading coach and educator, one husband and wife demo traded for two years. They were waiting for the ‘ultimate trading system’ to land on their laps. After two years, and many promptings from many of us, they finally took the plunge. Of course, their first trade was a loss. So they panicked and returned to trading forex and CFDs on a demo account. Argh, the frustration. So once you ensure you fully understand the level of risk associated with leveraged products, it is time to update to a real account. Opening an account takes a few minutes to fill out the form. You must agree to the legal documentation and the risk disclosure, and then you are ready to go. Once the relevant account checks have been performed and you have deposited funds, you are ready to place your first live trade. Mind you; you can usually get access to all of this with a demo online trading account too. No matter if you are based in Australia, Hong Kong, South Africa, United Kingdom or Singapore, you can trade CFDs, precious metals, currency pairs, Bitcoin and every instrument with a live demo account. A demo account is a smart way to understand the risks involved in the global markets before going live. NOTE: All the brokers mentioned here are authorised and regulated in Australia. Each broker has an Australian Financial Services Licence number (AFSL). LearnCFDs.com may be compensated by brokers listed via the links on this site and earn a small commission.